Caught Red Handed Catch Up? A slippery burglar becomes the poster boy in a catch-a-thief campaign, and a man struggles to steal a portrait that is bigger than he is. Three burglars jump around like little kids when they see an unguarded safe, and a robber gets a shock when a friendly shopkeeper turns out to be a martial arts expert. A violent robber makes a mistake when he returns to the scene of his crime, and two wedding venue sculptures seem destined for a permanent honeymoon. A car driver deliberately slams on his brakes so the van behind rams into him, and a criminologist is burgled by a thief, but he soon discovers he has chosen the wrong victim. A burglar trying to steal laptops comes a cropper, and a Scottish corner shop owner is the victim of an armed robbery. His daughter rushes to the scene fearing for his life. A deaf girl is traumatised when she wakes up to find burglars in her house, and an OAP is robbed by his carers, but they get caught out by an ingenious plan. A workman steals a dumper truck and rampages through the Norfolk countryside, and a thief steals two charity tins for sick children but makes a crucial error. 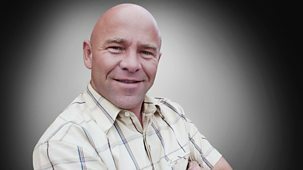 Dom Littlewood shows how technology is being used to catch crooks. A prisoner on the run breaks into homes and a high-tech police operation targets bike thieves. A callous crook steals from the elderly and, like the plot of a Shakespearean tragedy, a treacherous friend betrays the trust of others. This episode features a gang of armed robbers who get a shock when some of their victims fight back, and the fishy tale of a couple of slippery crooks. A couple come face to face with armed robbers but refuse to hand over their money, and secrets of the cash-point scammers are revealed. A family plants a secret camera to catch a thief in the act, and a local man joins in with a cross-country police pursuit. Police launch a clever operation to catch criminals who have stashed stolen goods in a wood, and a laundress takes a thief to the cleaners. A man fights off an armed robber with a baseball bat, and a family joins forces with an army of pet detectives to recover a stolen dog. A couple watch a break-in live on their mobile phones before racing to confront the burglar, and a pair of crooks raid a museum but then try and sell the vintage loot. Locals join forces with police to track down a hooded raider, and in the case of the missing cases, a bag thief targets passengers. A gang of armed robbers raid a shop, leaving behind a trail of terrified victims, and a man confronts a burglar outside his neighbour's home. One man and his dog face a gang of thieves, and a shopkeeper is confronted by a man with a knife. A robber swings a homemade weapon at two friends, and a gang of sneaky crooks target the elderly in Kent. A woman creeping across a disabled man's floor horrifies his family, and there's a rat on the loose in a restaurant - but there's a twist to the tale. A valuable piece of art is stolen from a church crypt, and a pair of drug dealers snooker themselves. A one-man crime wave hits a quiet town on Friday the thirteenth, and the police use their own technology to defeat the latest tricks cunning criminals come up with at cashpoints. A vulnerable woman is not given the care she deserves in a nursing home, and a man stealing from cars gets more than he bargained for. Two men on a high-speed bike attack a jewellery shop in Andover, and golfers are left teed off when their clubs are stolen. An unscrupulous thief steals from a disabled pensioner and a gang travel 150 miles to go on a crime spree in Wales. Police hunt a man with an axe who has robbed a small village store, terrifying the shop assistant, and a carer gets her comeuppance when the family put in a hidden camera. The sparks fly as a gang of thieves target cashpoint machines with a chainsaw and a family dog is stolen from the back garden. A blackmail letter causes chaos for a young family and two very different businesses are targeted by men with knives. A husband and wife are targeted by troublesome teenagers in their own home and a spoilsport gang attack a childrens play centre. A violent attack on a small village store has a twist in the tale and two good samaratians come to the aid of a woman who is targeted by a handbag snatcher. A light-fingered neighbour is caught pinching from a vulnerable pensioner, and Dom reveals some tricks of the trade for keeping belongings out of the hands of bag snatchers. There is a terrifying moment as a victim comes face-to-face with a burglar, and a churchgoer proves that nothing is sacred when he is found making his own collection. A one-man crime wave in Preston meets his match, and vandals have a rubbish time clearing up their own dirty work. The police are hot on the trail of a reckless arsonist, who sets his own pants on fire. And an unemployed burglar returns to the scene of the crime to apply for a job. Betrayed by a trusted friend, technology helps catch a woman with her fingers in the till. And a thief carries a stolen safe through the streets of London, but he has left a trail. A look at new ways of catching criminals. A shopkeeper turns the tables on a knife-wielding robber, and a gamekeeper who is killing protected birds of prey is caught on camera. A look at new ways of catching criminals. Two robbers with knives regret the day they picked on a defenceless grandmother, and a fraudster slips up with his fake injury claim. This episode features shocking evidence of a great-grandmother's mental and physical bullying by her so-called carers. And a sharp-eyed salesman rounds up some sofa rustlers. A look at new ways of catching criminals. A woman deals with an intruder in her bedroom, and police solve a puzzle of phone records, video and surveillance to snare a drug gang. A look at new ways of catching criminals. Police and passers-by join forces to hunt down armed robbers in a busy high street, and there is a back-seat surprise for car thieves.